Thank you for reading our winter edition of the DeVi-Comfort newsletter. 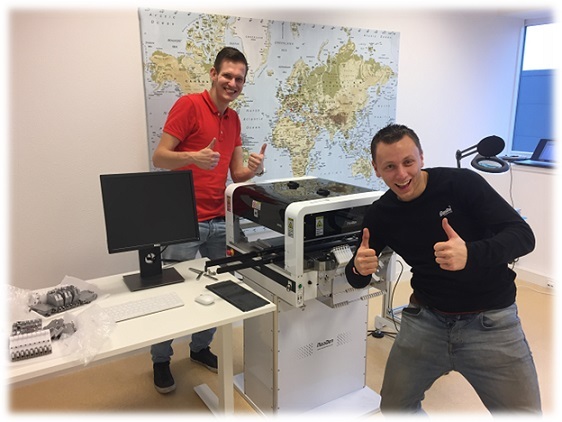 A lot has happened the last few months, so it is time to inform you about the latest developments of DeVi-Comfort BV. 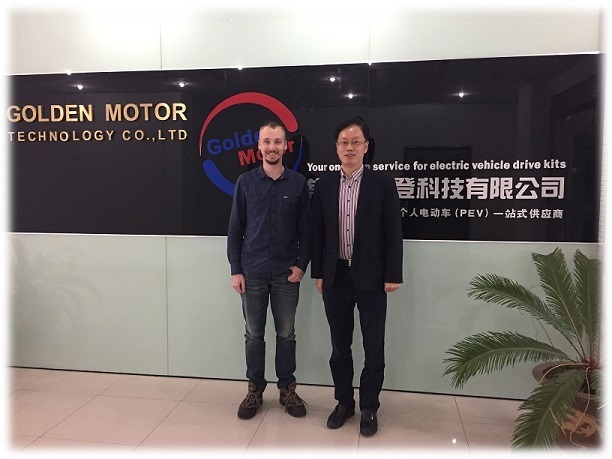 Our engineer Thijmen responsible for the LEA project visited our supplier in China last October. He went there to discuss the LEA production, but also some other projects like the new electric outboards and the new foldable wheelchair. 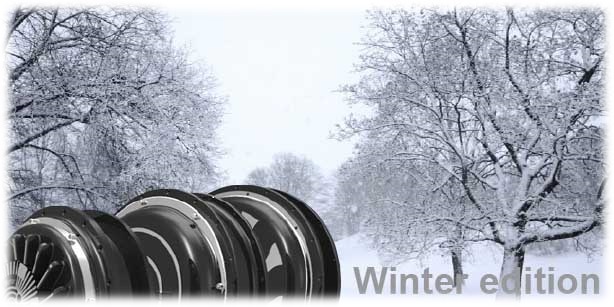 The production of the LEA wheels has started in China after the prototyping and testing in the Netherlands. The first wheels made in China will be delivered to our customer by the end of this month. Golden Motor is finishing their design for the new electric outboards and these should be ready for production beginning of next year, right on time to prepare your boat for the new summer season. The production of the new foldable electric wheelchair is well under way and ready for sales. Pick and place machines are used for the production of printed circuit boards. To place even the smallest components 0201 package on our printed circuit boards we needed a more accurate machine. 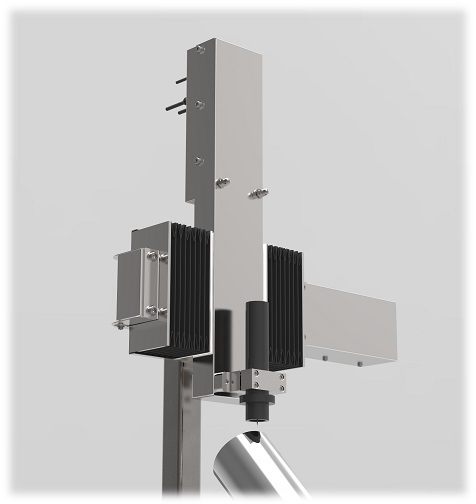 The new Neoden 4 offers us more precise placing of components through a vision feedback system. The machine can now see exactly how it is picking up the components from the trays. It also has more space for different components. This means we can efficiently produce more complicated boards in less time and with higher precision. We recently finished working on a project for Parker Hannifin. Parker Hannifin is an international leading company in the development, production and sales of motion control systems. Parker supplies products in nine technologies: hydraulics, pneumatics, electromechanical, filtration, process control, fluid and gas handling, sealing and shielding, climate control and aerospace. Parker is producing a series of PCB’s that can control 32 pneumatic operating valves. The valves can be operated remotely by an industrial communication system named I-O Link. 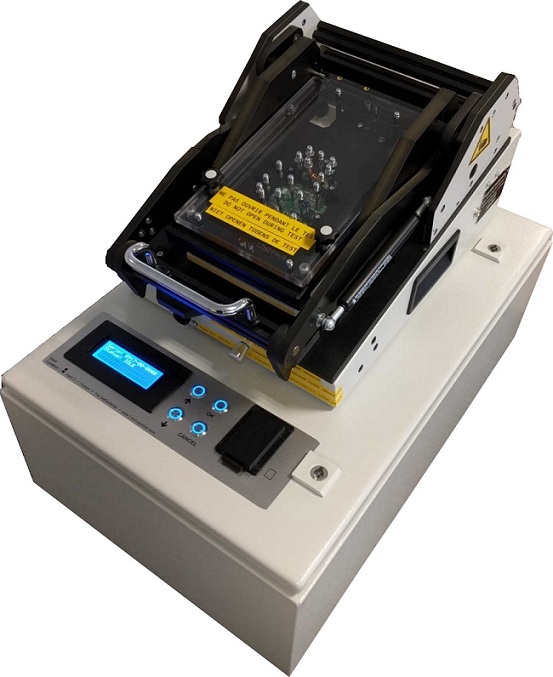 We have developed a testing device that can test the PCB’s on correct functioning, soldering errors and if the PCB is passing this test, the test device will program the PCB with software and a serial number. For debugging purposes we have engineered a SD card slot that stores all the data from the tests, and a LCD module with a settings menu to adjust all the possible test values and serial numbers. In the summer of 2017 DeVi-Comfort built an automatic welding machine for welding covers on aluminium tubes. DeVi-Comfort developed a welding manipulator that will weld a perfectly symmetrical TIG weld. The operator has a remote control to control the welding process. Remotely he is able to start, stop and adjust the machine parameters. The machine can detect the area to weld and precisely locate the welding tip in the exact centre between two of the material edges. As soon the torch is on the right spot the machine will start welding. During the welding process the distance between the torch and the tube will be automatically adjust to get a perfect weld. The adjustment of the torch will be calculated during the welding by reading out the voltage and current of the welding machine. The strong autumn wind has lay down, but to keep the wind in your back it is time to convert your bike into an E-bike. To help you upgrade your bike, we now have the Magic Pie Edge on Sale! 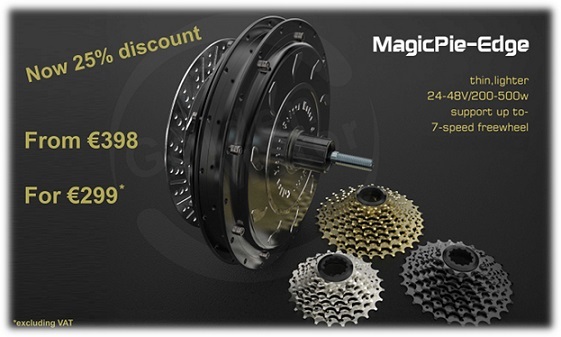 The Magic Pie Edge is thinner and lighter than the Magic Pie 5 and suitable to have more gears on the freewheel. The Magic Pie Edge has an built in sine-wave controller, self-cooling fan and has an power of 24-48V/200-500watt. Follow DeVi-Comfort on Facebook & Twitter! Stay informed about all the sales and be able to use the discounts. When the Facebook page has more than 500 likes, DeVi-comfort will give away a gift certificate of 50 euro!